If you’re looking for things to do in Stuart, FL, many of our friends and neighbors will tell you the same thing: the food in our community is definitely worth exploring! 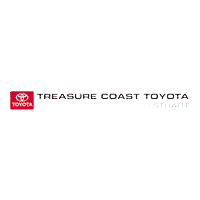 If you’ve never visited before, our town’s exceptional selection of seafood and dinner venues are sure to leave a strong impression, and you can count on Toyota Entune to navigate you to any one of them. Of course, since new and innovative restaurants are opening up all the time, you can use our local guide to plan an adventure even if you’ve lived here your whole life! Sailor’s Return is one of the most popular restaurants in our community, and it’s not hard to see why. Live music, seats overlooking the ocean, and excellent cocktails make this restaurant a great place to spend evening after evening, and once you’ve tried their blackened mahi-mahi and their plump, savory crab cakes, you’ll never look at seafood in the same way again. The venue is one of the nicer date-night spots around, and when you arrive by foot, by car, or by boat, their excellent, attentive staff will take you just as you are. If you love batter-fried food just as much as you love the flavors of the grill, you have to give Stuart, Florida’s own King Neptune a try! It’s somewhat more casual than most of the other restaurants included on our list of local favorites, but it’s no less busy, so make sure to plan ahead if you’re trying to get in and out with a quick bite at lunchtime. It only takes one visit to turn this restaurant into a regular go-to destination when you’re craving the best. Check out their facebook page before you step inside. This family-owned and operated venue is one of the best Italian restaurants in Stuart, FL, and your first visit will leave an impression that you’ll never forget. Neighbors who’ve visited La Forchetta have praised their specialty Italian pies, their menu full of authentic dishes, and their skilled bartenders, too, so no matter what you’re in the mood for, you’re sure to find something you love. If you’re searching for a restaurant that blends the class of downtown Stuart with the devil-may-care charm one associates with the seaside, you’ll be glad to spend an hour or two at the Riverwalk Cafe and Oyster Bar. With more than 120 wines in stock, USDA Prime Center Cut Steak on the grill, and a bar full some of the freshest oysters you can find, friends and family you bring here will want to visit again and again. Check out our other posts below, and if you have any questions about the great Toyota models at our showroom, such as the RAV4 or the Corolla, feel free to contact us!